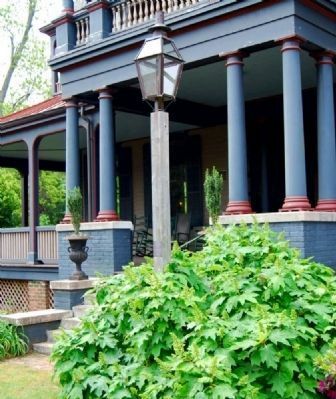 This 1888 Queen Anne house was the home of Gen. Samuel McGowan (1819-1897) until his death. 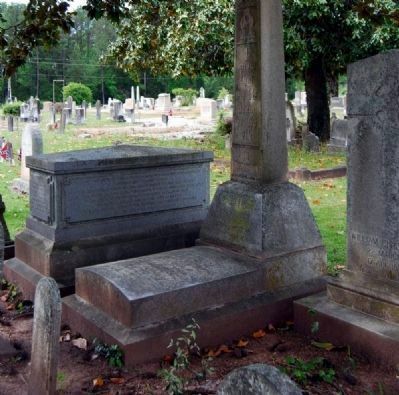 McGowan, a lawyer, Confederate general, and jurist born in Laurens Co., had moved to Abbeville in 1841. He was an officer during the Mexican War and in the S.C. militia after it. During the Civil War he commanded the 14th S.C. Infantry 1862-63 and commanded a S.C. brigade in the Army of Northern Virginia 1863-65. After 1865 McGowan bought a house on this lot. Built by Col. James Perrin in 1860, it burned in 1867; this house was built on the old foundation. 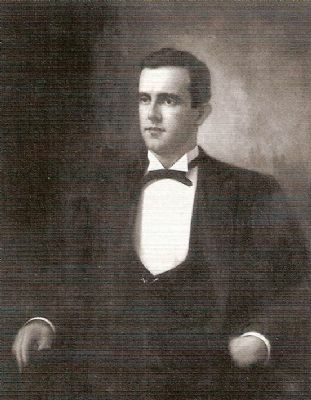 McGowan served as a justice on the S.C. Supreme Court 1879-93. 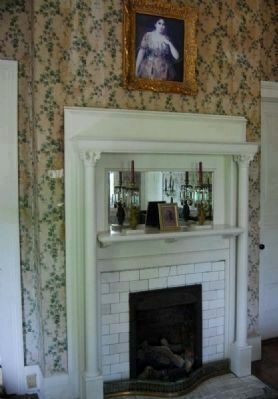 The Barksdale family bought the house in 1905, and WWII Gen. W.E. Barksdale was the last to live here. In 1989 his nephew J.D. Bundy gave it to the Abbeville County Historical Society as its headquarters. Location. 34° 10.792′ N, 82° 22.871′ W. Marker is in Abbeville, South Carolina, in Abbeville County. Marker is at the intersection of North Main Street and Lane Street, on the left when traveling north on North Main Street. Touch for map. Marker is located on the house grounds. Marker is at or near this postal address: 305 North Main Street, Abbeville SC 29620, United States of America. Touch for directions. Other nearby markers. At least 10 other markers are within walking distance of this marker. 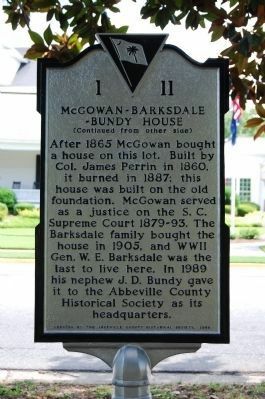 Last Cabinet Meeting Marker (a few steps from this marker); The Bundy-Barksdale-McGowan House (was within shouting distance of this marker but has been reported missing. ); Burt-Stark House / Jefferson Davis’s Flight (about 300 feet away, measured in a direct line); Maj. Thomas D. Howie (about 600 feet away); Abbeville's Confederate Colonels (approx. 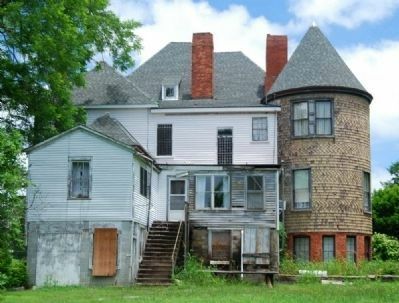 0.2 miles away); Thomas Chiles Perrin House (approx. 0.2 miles away); The Old Livery Stable (approx. 0.2 miles away); Major Thomas Dry Howie (approx. 0.2 miles away); Clarence E. Pressley (approx. 0.2 miles away); Trinity Episcopal Church (approx. 0.2 miles away). Touch for a list and map of all markers in Abbeville. More about this marker. The McGowan-Barksdale-Bundy House is the 7th site on the Abbeville, South Carolina Historic Fitness Walk - North Trail. 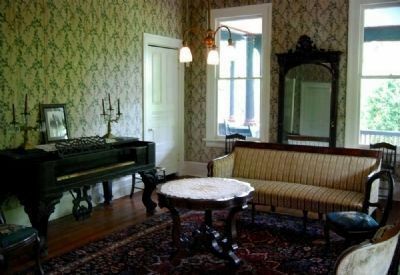 Regarding McGowan-Barksdale-Bundy House. The house (also known as the Generals House) is the 7th stop on the Abbeville History North Walking Trail. The architect was G.L. Norman of Atlanta. 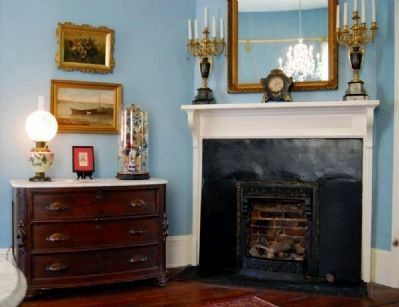 The property is included in the Abbeville Historic District. National Register medallion to the left of the door. 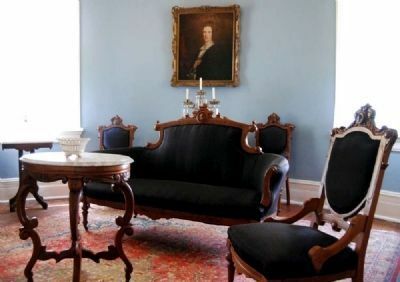 referred to locally as 'The Generals' House' because two of its principle owners were Generals - Confederate Brigadier General Samuel McGowan and WWII General William E. Barksdale, the last owner to dwell in the house. 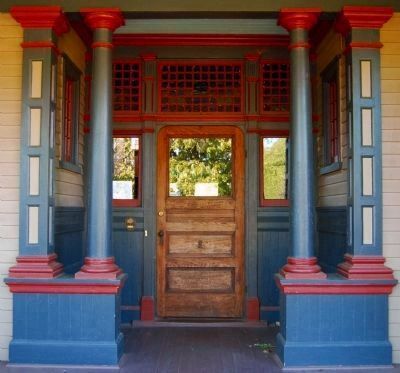 The outside of the house is painted with the Victorian multi-colors originally used, as determined by scientific paint analysis. 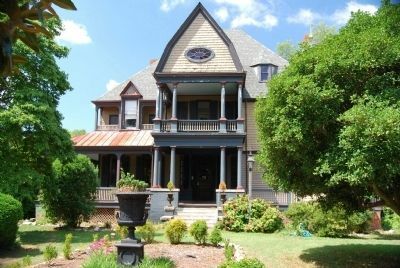 Confederate General Samuel McGowan had this house built on the foundation of his Gothic Revival style house which was destroyed by fire in 1887. He had purchased the earlier house from the widow of Lt. 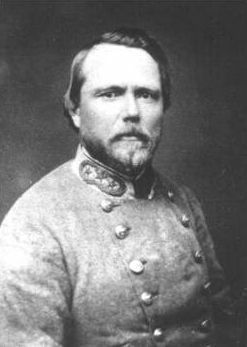 Colonel James M. Perrin, CSA, who was killed at the battle of Chancellorsville. 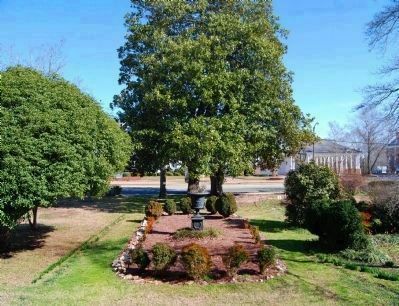 The Generals House is the current home of the Abbeville County Historical Society and the Jane Greene Center for the Arts. 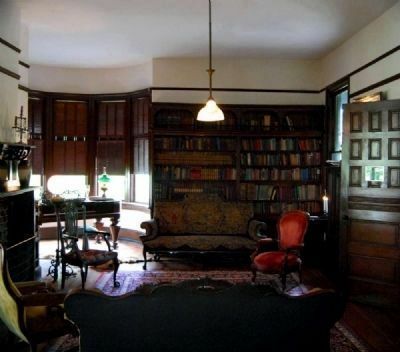 and rectangular style of the woodwork. Behind the main house are 3 servant cabins. The first two cabins, closest in proximity to the back of the house, were built during the era of the Gothic Revival style house (circa 1857). The third cabin on the left was erected after the current house was constructed, probably around the early 1900's. Each cabin consists of one room with several windows and a single entrance. All three were well constructed although the first two are more interesting architecturally with their very steep roofs and decorative gingerbread trim. 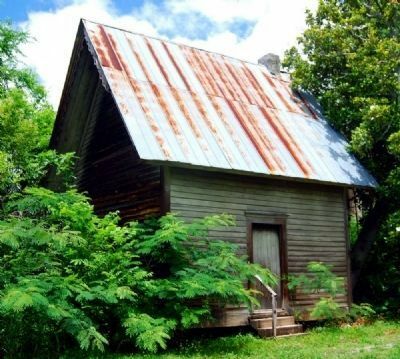 The earlier two buildings with their original plaster walls are extremely rare and are among the few remaining servant cabins in the upstate. 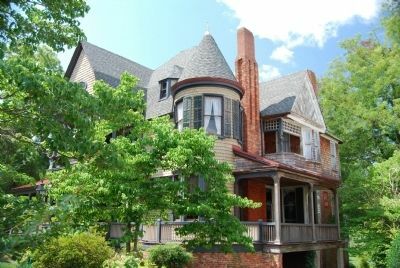 At the time he built this house in 1887-88, General Samuel McGowan had distinguished himself as a staff captain in the Mexican War, as a successful lawyer, as a member of the S.C. House of Representatives, and as a Brigadier General leading McGowan's Brigade in the Army of Northern Virginia of the Confederate Army. In 1879, he became an Associate Justice of the S.C. Supreme Court, a position he held until 1893. Upon retirement from the bench. McGowan spent his last years in this house, surrounded by family and friends. 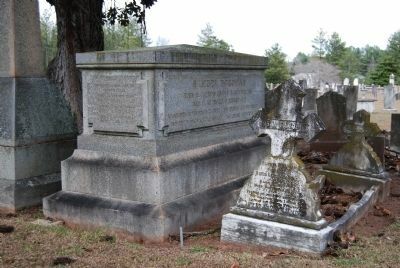 He died at home on August 9, 1897, and is buried in Long Cane Cemetery. 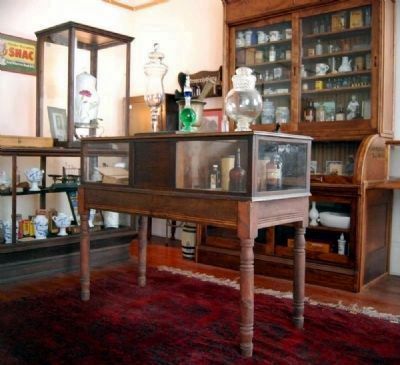 2005-06, the Society received a significant acquisition of General McGowan's personal property and family items, including photographs, books, and silver from Mr. and Mrs. William McGowan Matthew. Mr. Matthew is the great-grandson of the General. — Submitted July 20, 2009, by Brian Scott of Anderson, South Carolina. — Submitted May 3, 2009, by Brian Scott of Anderson, South Carolina. As one of Abbeville's most respected attorneys, Samuel McGowan was often involved in several high profile cases involving slaves. In April 1851, McGowan brought charges against three slaves. They were accused of planning an insurrection. Austin and Asa were both given one hundred and fifty lashes and ordered to leave the state. The third slave, Taffy, was given twenty five and discharged. It was felt that Taffy was less involved than the other two, his only real crime was being at the wrong place at the wrong time. However, public sentiment was strongly against the three and it was felt that Taffy's needed punishment as a warning to others. twice a month, 50 lashes at a time. part in the first battle of Manassas. McGowan Becomes Commander of Gregg's Brigade. — In 1862 McGowan became colonel of the Fourteenth Regiment of Gregg's brigade. After the death of General Gregg, McGowan was made commander in his place and from that time onward this body of men was known as McGowan's brigade. General McGowan spent the winter of 1862 with his men near the battlefield of Fredericksburg. They built log huts and plastered them with mud and called their village by the name of Camp Gregg. In May, 1863, they seized their muskets and marched into the thickets to take part in the battle of Chancellors ville. 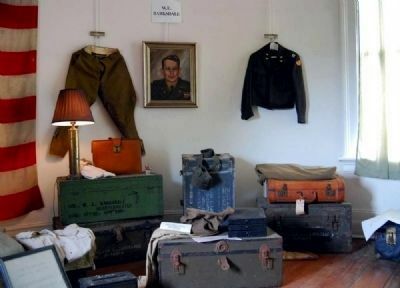 They instilled in others a love of history, antiques, restoration and preservation. Their light still burns brightly. on his men. Then he mounted a log and stood in full view urging his troops to advance. A musket ball struck him, and as he fell Colonel Edwards, of the Thirteenth Regiment, rushed forward and led the brigade towards the log breastworks. As the brigade advanced Colonel Edwards was shot. Then Col. Abner Perrin, of the Fourteenth Regiment, led the brigade forward. At the same time the whole Confederate army rushed against the Federal position and drove the Federal soldiers out of the wilderness. Base of the urn reads: "The Promenade Garden"
his sword and called his men to follow. A great shout went up from every throat when the men saw their daring leader in front of them. One rapid rush, with men falling at every step, and they gained the top of the slope, seized the enemy's cannon, and scattered the opposing force. The flag of the First Regiment was the first Confederate banner raised in the town of Gettysburg. McGowan's Brigade in Northern Virginia. — Early in May, 1864, Lee wished to strike the first blow at Grant in the Wilderness of northern Virginia. General McGowan's wound had healed, and he led his brigade forward with the rest of the Confederates. The Carolinians took position for a moment upon a ridge. The cannon were already roaring some distance away. Orr's regiment of riflemen knelt down and uncovered their heads and offered prayer to the God of battles. The sharp crack of rifles came nearer and nearer, but the voice of the chaplain, Francis P. Mullally, was heard above the sound of fighting. Then the entire brigade advanced to the attack. Nobly they did their part in that fierce struggle which ended with the repulse of Grant. on each side of the works. 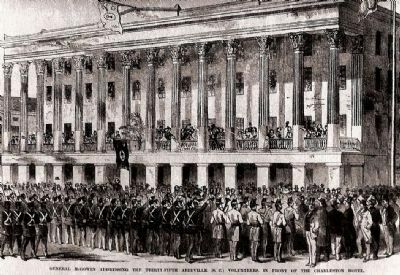 The Carolinians stood on one side of the pile of logs and the Federal troops on the other side. Some men tlyust their muskets between the logs and fired. Some climbed to the top and shot down from above. Others put the muzzles of their rifles over the top log and blazed away. The terrible struggle went on for twenty hours. The rain was falling nearly all the time and the trenches were filled with water. The men stood and lay in this water, which soon became red with blood. Bushes and even trees were cut down by the rifle bullets. This awful place was known as the Bloody Angle. Carolinians and Mississippians were the heroes of the famous fight. General McGowan received a wound and was taken from the field. 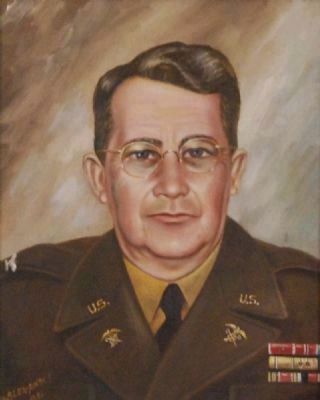 Col. J.N. Brown, of the Fourteenth Regiment, commanded the brigade throughout the battle until Grant was forced to march away from the field. 21, 2009, by Brian Scott of Anderson, South Carolina. 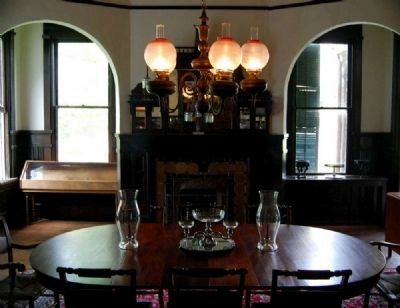 After General McGowan's death, his son and daughter-in-law, William Campbell McGowan and Clelia Peronneau Mathewes, lived in the house until William McGowan's death in 1898. It was William who oversaw the construction of the house. 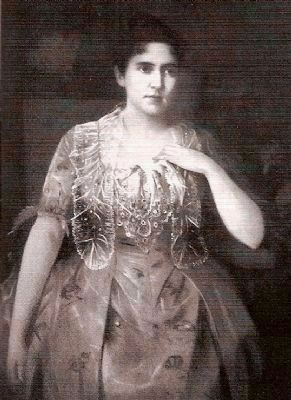 After William's death, Clelia moved to Charleston where she became the first female member of the Charleston City Council (1923). 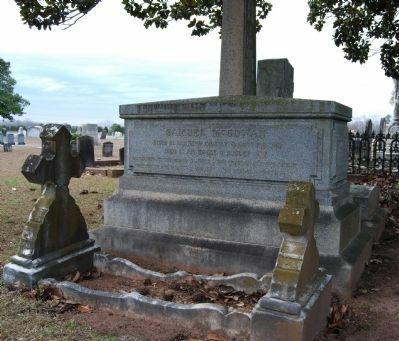 During her life, she also served as president of the South Carolina United Daughters of the Confederacy (1897-1899). — Submitted November 16, 2008, by Brian Scott of Anderson, South Carolina. Capt. William C. McGowan died at his home at Abbeville, on the 27th ult. The deceased was a young man of brilliant intellect and bright promise of future usefulness and distinction. He was the only son of the late Judge Samuel McGowan. Perhaps no young man had more warm admirers and strong personal friends than did Willie McGowan. the sad intelligence that his brother-in-law, Capt. W.C. McGowan, was extremely ill, and not expected to live more than a few hours. A recess was ordered and the Judge left for Abbeville. He returned Monday last, Capt. McGowan having died the evening previous, ordering an extra term to begin on April 19th. The marker shown reflects the third style of South Carolina Historical Markers. It is currently in use and has been since 1996. The original design was cast aluminum and crowned with a bas relief of the state flag surrounded by an inverted triangle. The markers were painted silver with black lettering. 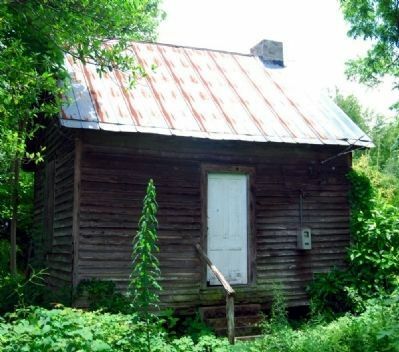 ABBEVILLE -- No one knows how many people have lived in the three one-room servant cabins sheltered behind the McGowan-Barksdale-Bundy House, but historians recognize the need to preserve the unusual 150-year-old buildings that dozens might have called home. 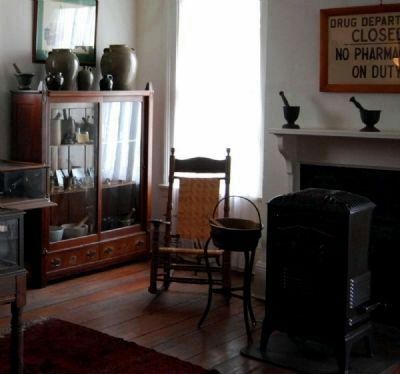 called The General’s House, the McGowan-Barksdale-Bundy House is unusual itself. 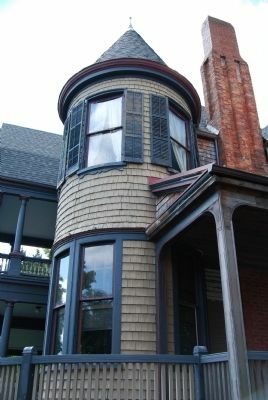 Located on North Main Street, the mansion features its own tower, a turret, multi-faceted roofs and windows in different sizes and shapes. The building’s nickname follows its two most prominent owners, both generals: Confederate Gen. Samuel McGowan, who bought the property in 1865, and WWII Gen. W.E. 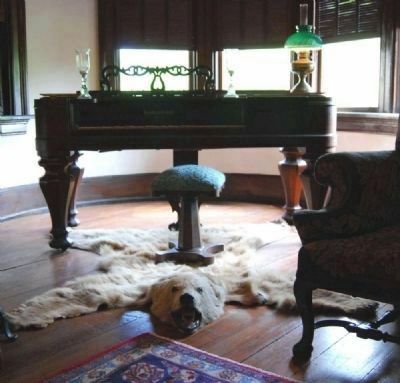 Barksdale, the last owner to live in the home. 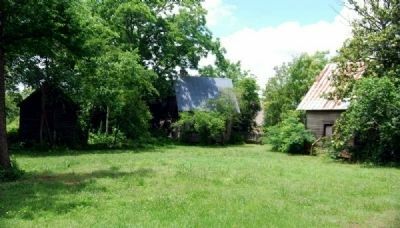 In its heyday, a time of carriages and wealth, multiple buildings would have stood behind the main home, including a kitchen building, stable, chicken coop and slave or servant quarters. Of all the adjoining buildings, only three remain: the raised one-room cabins built for the household servants. Painting hangs in an upstairs room. The 1330th Army Air Force Base Unit, Air Transport Command, India-China Division, which was stationed in Jorhat, India. 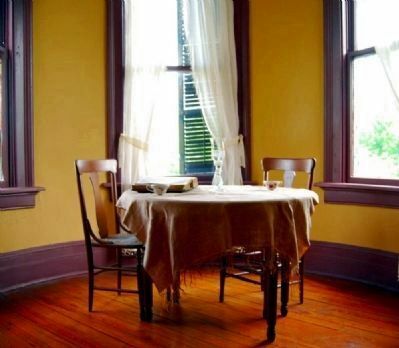 style to the multi-colored Queen Anne still standing; the third cabin dates back to the 1880s or 1890s after the completion of the new home. Images of the families have not survived, but the buildings have, making them a rare find, Speer said. But it isn’t just the buildings’ longevity that makes them unusual. trim -- wood boards carved into delicate, decorative patterns for trimming gables, windows, porches or, in this case, roofing -- and the buildings’ steep, pitched roofs are typical of gothic revival architecture. 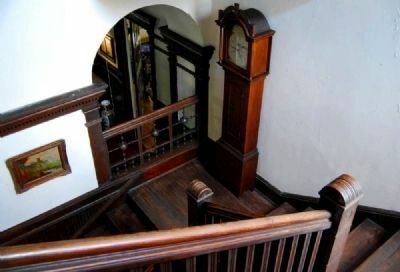 The 14-foot tall ceilings would also have helped residents avoid the summer heat, and in the winter open fireplaces -- later plastered over when pot-bellied stoves were installed -- kept the space warm. 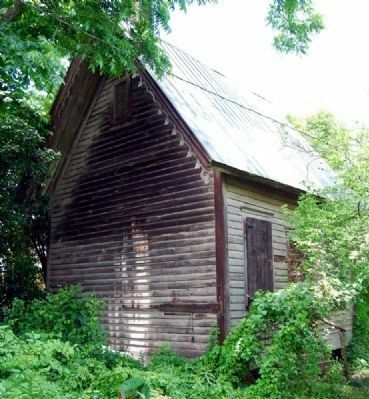 The cabins now belong to the Abbeville County Historic Society, along with the rest of the McGowan-Barksdale-Bundy House property. 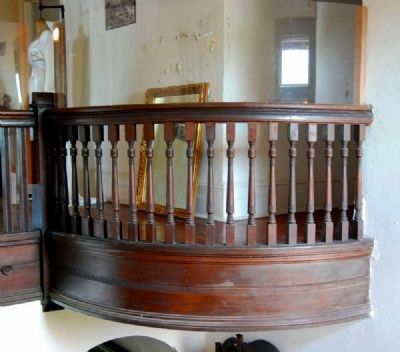 Although any original furnishings are gone, the society is slowly stocking the buildings with period items collected from across Abbeville County, including old tables and large cast-iron pots once placed by the fireplace and used to boil water and wash clothes. Shutters cover the windows, and the buildings are kept closed and locked to protect them. to the Abbeville County Historical Society. — Submitted February 8, 2009, by Brian Scott of Anderson, South Carolina. The 1330th Army Air Force Base Unit was part of the India-China Wing of the Air Transport Command. It was formerly known as Station 21. It was awarded a Distinguished Unit Citation for actions in December 1943, per War Dept General order #18/1944. — Submitted June 20, 2011, by Brian Scott of Anderson, South Carolina. 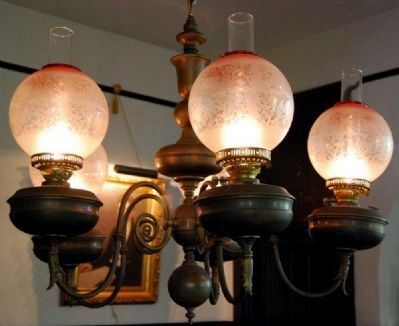 The chandelier is not original to the house. [North]: From humble birth he rose to highest honour in civic and military life. A patriot and a leader of men. In peace his country called him; he waited not her call in war. A man's strength, a woman's tenderness, a child's simplicity were his, and his a heart of charity, fulfilling the law in love. He did good and not evil all the days of his life, and at the end, his country, his children and children's children rise up and call him blessed. More. 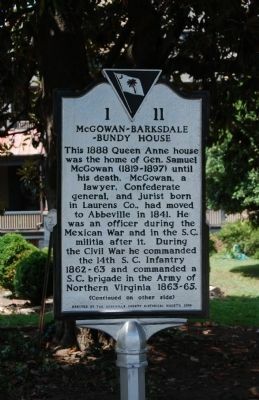 Search the internet for McGowan-Barksdale-Bundy House. Credits. This page was last revised on June 16, 2016. This page originally submitted on July 20, 2008, by Brian Scott of Anderson, South Carolina. This page has been viewed 7,225 times since then and 62 times this year. Last updated on August 17, 2009, by Clelia McGowan LaMonica of Marshall,, Virginia. Photos: 1, 2, 3, 4. submitted on July 20, 2008, by Brian Scott of Anderson, South Carolina. 5. submitted on May 3, 2009, by Brian Scott of Anderson, South Carolina. 6. submitted on July 20, 2008, by Brian Scott of Anderson, South Carolina. 7, 8. submitted on July 20, 2009, by Brian Scott of Anderson, South Carolina. 9, 10, 11. submitted on July 21, 2009, by Brian Scott of Anderson, South Carolina. 12, 13, 14. submitted on May 3, 2009, by Brian Scott of Anderson, South Carolina. 15. submitted on July 21, 2009, by Brian Scott of Anderson, South Carolina. 16, 17, 18, 19, 20, 21, 22, 23, 24, 25, 26, 27, 28, 29, 30, 31, 32. submitted on May 3, 2009, by Brian Scott of Anderson, South Carolina. 33. submitted on December 26, 2008, by Brian Scott of Anderson, South Carolina. 34, 35. submitted on May 3, 2009, by Brian Scott of Anderson, South Carolina. • Kevin W. was the editor who published this page.